TetriGen supports TetriNET and TetriFast. The buddy function and field color options are unique to this client. 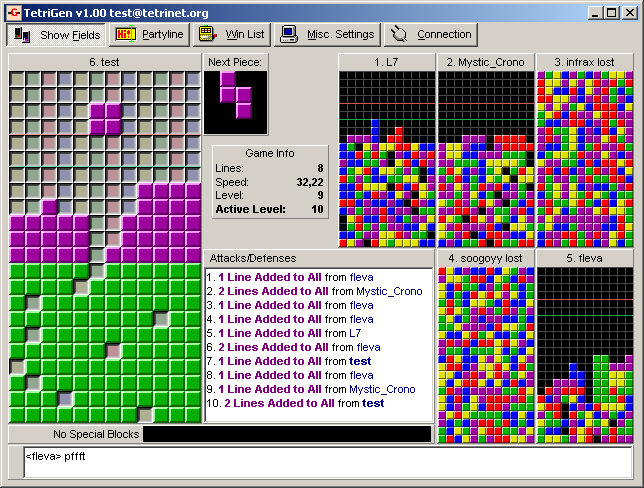 TetriGen does not have a built-in server.